supplied by our member stores, and the copyright belongs to the respective store. The journey of a model train, taken by a camera on the driver's seat. Drive through a miniature panorama in this rare and realistic movie. Useful idea goods from Murphy Okada's MiteMite-shop. for all kinds of kitchen work! 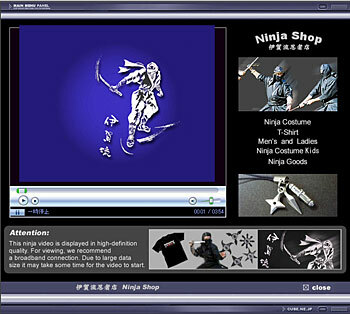 Ninja clothes and Ninja goods "Igaryu Ninja Store"
View this digest movie of a Ninja show in Iga, Mie Prefecture. The actors belong to the troupe "Azura", the world's most famous Ninja actors. Watch them perform incredible tricks! 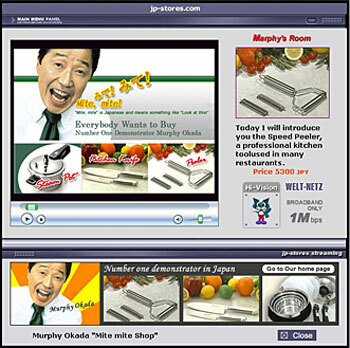 Recommended by the Japanese EGF association.